Making the effort to get more and more visits is great, but if they don’t translate into conversions, you’re just wasting money. It’s much better to have fewer visitors that buy often than to have a lot of visits that never buy. Of course, that’s easier said than done: how can you get more recurring sales year after year from your customers? By improving your CRO or Conversion Rate Optimization. It’s difficult to define the meaning of CRO without going back a few steps. CRO means Conversion Rate Optimization. And there’s much more to those words, so it’s better to pump the brakes a bit at this point to better understand this metric in the end. Let’s break it down one part at a time. 1. What is a conversion? A conversion is the moment when a user carries out a specific action defined by a company. When referring to e-commerce, said action should be obvious: a conversion is a sale, right? Gives you their email address (in exchange for a lead magnet). Opens the email that you sent them. That is to say, you have to define the goals you want to be achieved with any given marketing action beforehand. If a user carries out the action, you’ve achieved your conversion goal. 2. What is the conversion rate? The conversion rate is the percentage of users that carry out the action in relation to the total number of visitors to your e-commerce. When the conversion that you’re looking for is a sale, improving that rate means increasing your income and, therefore, your shop’s profitability (we are talking about ROI or Return On Investment). However, depending on the phase of the Customer Lifetime Value (the CLV that we’ve mentioned previously), it may be more important to measure a different conversion. Don’t worry if you don’t quite get it all now – we’ll talk about this more in depth later. 3. What is conversion rate optimization or CRO for e-commerce? 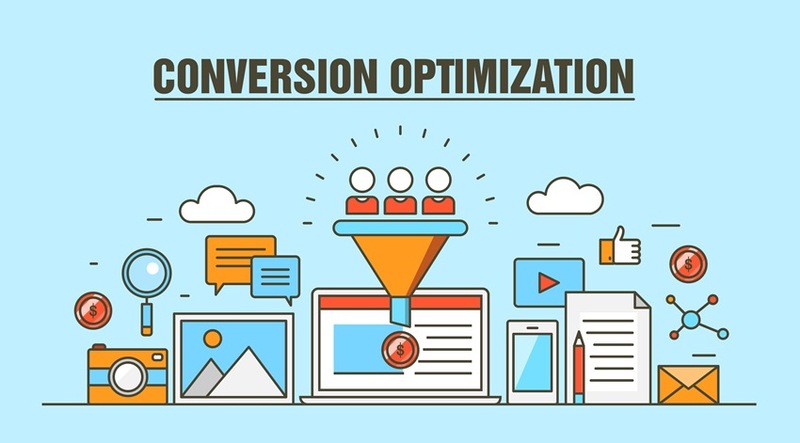 CRO or optimization of the conversion rate is a set of digital marketing strategies that aim to improve the conversion rate of a website. That is to say, CRO includes all of the marketing actions that you carry out to improve your conversion rate – everything you do to increase the percentage of people who actually buy from your website out of those who visit it. The advantage is clear: if you optimize your conversion, you get more money. Imagine that they want to measure the conversion of buyers who leave a review. The number of comments received on their products cards. The total number of buyers. Imagine that this month they have sold 150 products and have received 12 comments. The conversion rate would be = (12/150) x 100 = 8%. Google Analytics is an essential tool for measuring not only CRO, but also all your website metrics in general. Save this mega guide about how to use Analytics to your bookmarks (it’ll come in handy). You may be familiar with the CRO concept because we’ve talked about it before. Remember when we talked about what a sales funnel was? Or about the phases of the customer lifetime value? Both concepts are related to the path that clients follow from the moment they find out about you and realize they have a need until the moment they make a purchase. And then from the moment when they become a customer until they become a loyal customer (thus, buying more), and until the moment when they stop buying for good. So, optimizing this path (which is improving the CRO) is what leads us to get more sales. We’re going to go over this step by step and in order to do that, let’s use an example that’s easy to understand: the stages of a relationship. This is the moment when the user becomes a client – when they arrive at your shop for the first time. In our example, when one of them asks the other to start a formal relationship. The same goes for your shop. It’d be strange for a person to visit your shop for the first time and buy something. They need to get to know you and start trusting you. Let’s see what actions you can carry out at this point. In other words, offer more quality information so that your buyer persona comes to your shop in a more organic way (from your content) and sees that you know what you’re talking about (so you generate trust and authority). This tutorial on content marketing has everything you need to know to do it the right way. Remember that we’re talking about gaining your potential clients’ trust so that they become customers. And to do so, creating a bond and easing the interaction (engagement) is very important. When it comes to interaction and engagement, nothing beats social networks. >>> Everything you need to know about marketing on social networks to gain visibility and engagement, even if you don’t have a Facebook profile. >>> 7 Strategies to sell on Instagram with your online store and generate more engagement. >>> YouTube: why you should use it if you have an e-commerce and how you can use it to gain more clients and increase sales. >>> The strategy to get followers on Facebook and increase your post reach. If you get a potential customer to visit your e-commerce, don’t ruin it once they arrive! Users need to feel comfortable enough to stay and surf the website for a while. Once again, think about a date. If you’re asking that important person out, you take care of every detail. Let’s see what those details are in terms of an online shop. After that initial period (if it’s been satisfactory, of course), your customer will be more open to repeating the experience and buying a second time. Or, in our example, after dating for a while you both realize that you want to take things to the next level and get married. You want to establish a higher level of commitment. Your CRO strategy should focus on generating more sales from the traffic that is already going to your shop. Let’s take a look at options at this point. That means that the same client buys more during each interaction with your shop. Here you have 8 strategies to make it happen. This has to deal with offering other products related to the one they’re buying to optimize and improve said product. Learn how to do it following the tips we explain in this post. Your customer knows you well, and you know them. There’s trust and orders are placed without the slightest obstacle. Your conversion rate is at its peak, but now you have to maintain and improve it even more. Verify that their experience has been good. Reward them for their loyalty. Make them feel like you’re looking after them and their needs. It’s time to foster their loyalty once and for all. The sense of belonging to a tribe or VIP club is something that everybody loves. That’s why loyalty programs are so powerful. Clients don’t just want to buy products – they want goods that complement their personality. Belonging to a club will make them feel important and they’ll value your brand even more. Read more about loyalty programs here. cola or soft drinks – they buy Coca-Cola. mobile phones – they buy iPhones. Loyalty begins with establishing a brand image that represents values that your customers can identify with. [Storytelling for e-commerce] Once upon a time, there was a trick to selling more by telling stories. Web design to differentiate from the competitors. It’s not just about making clients feel special. We also want them to see our shop as something unique and different. We need to take care of the relationship to avoid the next phase. This is the phase you don’t want to reach with your client because, in simple terms, it means they cease to be clients at all. The conversion rate starts to decrease because you get fewer orders from the same amount of traffic. Your CRO strategy needs to be really specific and focused on putting a smile back on your customers’ faces and, if possible, getting them back to the maturity stage. You learn a lot about your clients over time. Use that information to avoid losing them and to prevent them from stopping their purchases. Invite them to a pre-sale for VIP clients only. Offer special discounts for seniority. Send them a birthday card or present. It’s all about reminding them why they felt so happy with you before and recreating that feeling again. As you can see, improving conversion is not “just another strategy”. This one is directly connected to your e-commerce sales. A plan of attack. Make a list all the actions that we’ve seen today, organize them, and set deadlines.